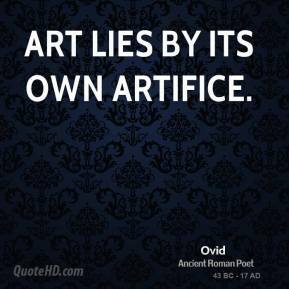 Art lies by its own artifice. 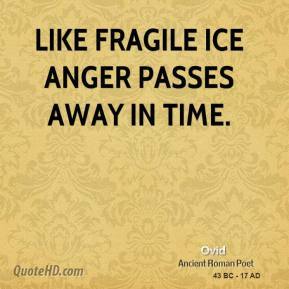 Like fragile ice anger passes away in time. 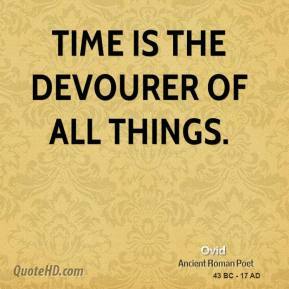 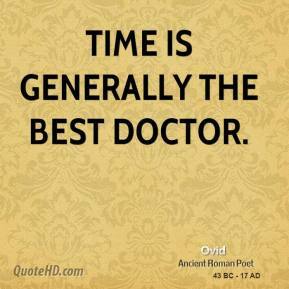 Time is the devourer of all things. 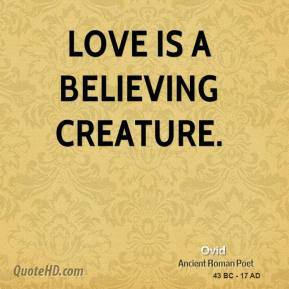 Love is a believing creature. 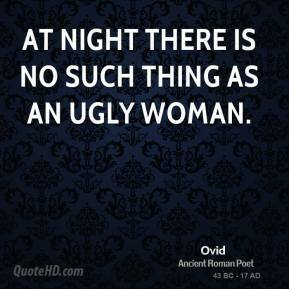 At night there is no such thing as an ugly woman. 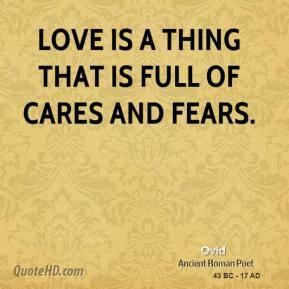 Love is a thing that is full of cares and fears. 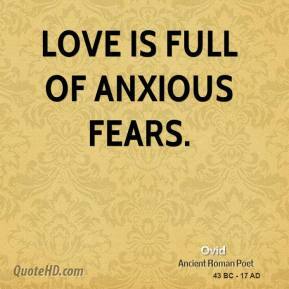 Love is full of anxious fears. 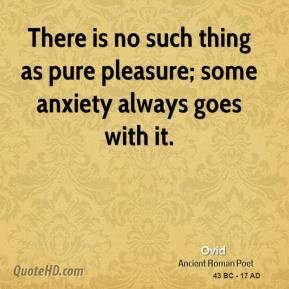 There is no such thing as pure pleasure; some anxiety always goes with it. 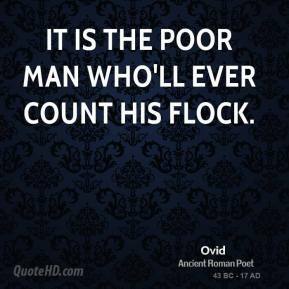 It is the poor man who'll ever count his flock. 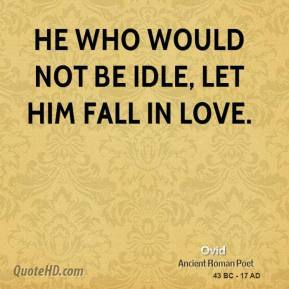 He who would not be idle, let him fall in love. 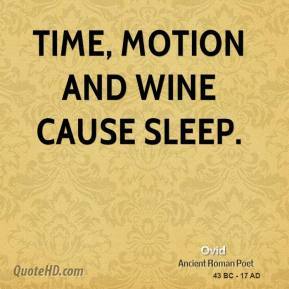 Ah me! 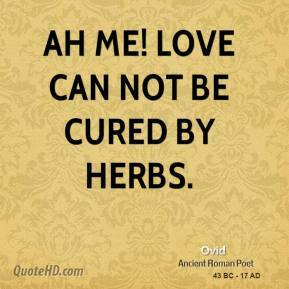 love can not be cured by herbs. 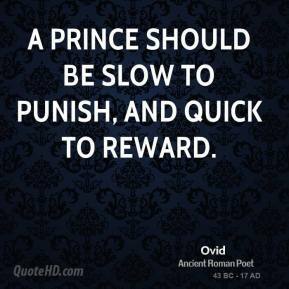 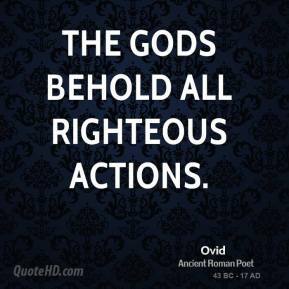 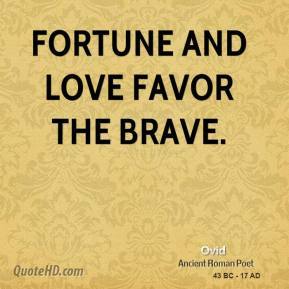 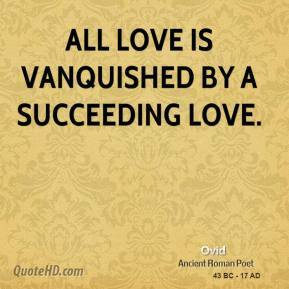 All love is vanquished by a succeeding love. 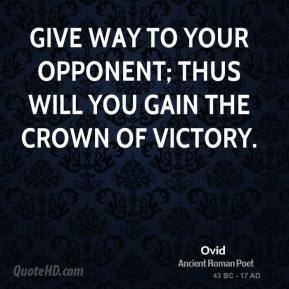 Give way to your opponent; thus will you gain the crown of victory. 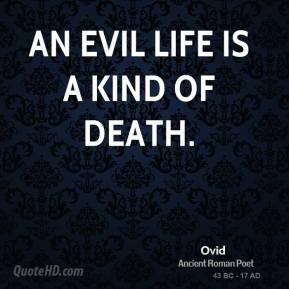 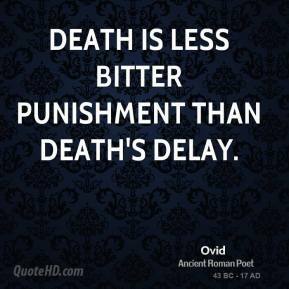 Death is less bitter punishment than death's delay. 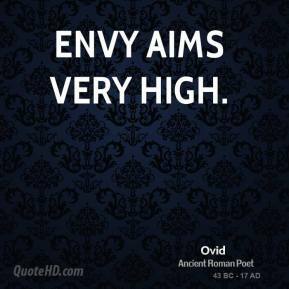 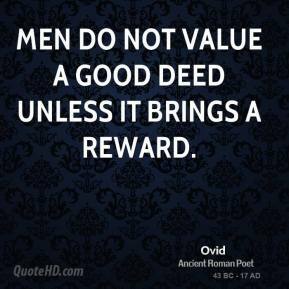 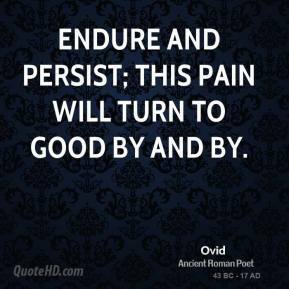 Endure and persist; this pain will turn to good by and by. 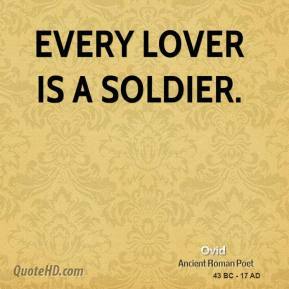 Every lover is a soldier. 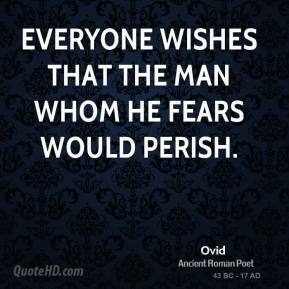 Everyone wishes that the man whom he fears would perish.